Resource > Video > How to Convert MKV to AVI? Summary: MKV and AVI are two of the most popular formats that you may often use in your life. So do you ever want to convert MKV to AVI? Here are several different methods for you to convert MKV to AVI easily. Converting a video to a different format used to be a real hassle before the internet was flooded with tools that make the conversion process a piece of cake. Now the problem isn’t finding a good converter but deciding which one you should use. There are plenty of options out there but some tools are definitely much better than others. With that in mind, today we’re taking a look at some of the best converters out there that are both reliable and easy to use. We’re going to focus specifically on how to convert MKV to AVI since these are two of the most popular formats around, however, you can use these tools to convert to other formats as well. We’re starting off with the best video converter around. 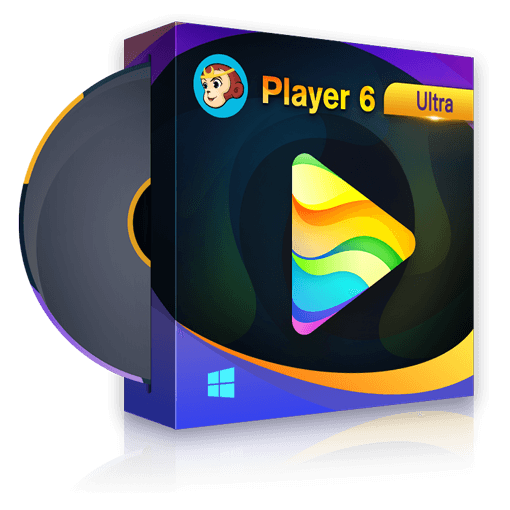 Despite being very good at what it does, DVDFab Video Converter is also very easy to use thanks to its intuitive interface and can get the job done in just a matter of seconds. With this tool you can convert MKV to AVI or any other type of format, including 3D, all while maintaining the quality of the original. In addition, there are plenty of customization options to play with should you decide to edit the videos before converting them. With this tool you can convert MKV to AVI on both Windows and Mac. 1. Open DVDFab 11 and select the Converter module from the top menu. 2. Click the large “+” button in the middle to add the source or simply drag and drop the video you want to convert. You can also use the Add from Mobile option from the top left corner to load a video from your smartphone. 3. Go to the profile switcher and select Format. Here, you’ll want to select Video and then AVI. Before you convert the video from MKV to AVI you can use the Advanced Settings and Video Edit options to customize the output. There are a lot of options here, including changing the resolution, video quality, and frame rate, cropping or trimming the video, adding subtitles or watermarks, and many more. 4. Once everything looks good, pick the destination folder from the lower left corner and then press the green Start button. After the MKV to AVI conversion is complete, navigate to that folder to access your video. Freemake is a pretty straightforward video converter that comes with a minimalistic interface and a few basic options to work with. There aren’t as many formats available as our previous entry but it does allow you to convert MKV to AVI and a few other common files types like MP4 and MPEG. You also gain access to a few editing tools like cropping, trimming, and rotating the video. Overall a pretty decent choice and gets the job done pretty fast, too. The downside is that this tool adds a small watermark to your videos. 1. Open Freemake Video Converter and click on the Video button found in the upper left corner. Navigate to the location of the video you want to convert and load it up. 2. A new window will appear where you can use the aforementioned editing options. Make any changes you need and then click the OK button. 3. Click the “to AVI” button found in the bottom menu. Select the preset and the location of the output. 4. With all of that taken care of, to convert the MKV to AVI all you need to do is click the Convert button and wait until the tool finishes processing the file. Just as its name indicates, this is an online tool so you don’t have to download anything in order to use it. That’s both a positive and a negative because tools like these have some limitations but they can still do the job pretty well regardless. Because it’s an online tool you can use it to convert MKV to AVI on Windows and Mac. 1. Visit the official website and select the Online AVI Video Converter option found under the Video Converter menu list. 2. Load the source and wait a few moments until the video gets uploaded to the website. 3. Use the optional settings to change the resolution and video quality or to rotate and cut the video. 4. Hit the Convert button once you’re all done and then download the file once the process is complete. Perhaps not the most original name out there but at least it tells you exactly what you need to know about this tool. This is another online tool that you can use for free and it’s fairly similar to Online Convert. However, it’s a bit simpler to use and there aren’t a whole lot of settings to mess around with, which makes the whole process somewhat faster. Given that this is also an online tool, you can use it to convert MKV to AVI on Windows and Mac. 1. Visit the official Files Conversion website and you will be immediately greeted by the tool. 2. Click the Select a File button and upload the video you want to convert from your computer. 3. Use the “Convert to” menu to select the format, which in this case will be AVI. Use the Size menu to select the resolution and then finally pick the quality of the output. 4. Click the Convert button after choosing your preferences and then wait until the tool finishes processing the file. There are many tools that allow you to convert a video from MKV to AVI, both online and offline. Each of these tools has certain advantages and disadvantages but they are all fully capable of basic video conversion. If you’re looking for a tool that offers more advanced features in addition to simple conversion consider checking out the Video Converter from DVDFab. This is the best software for the job and routinely outperforms similar tools. You can try it for free but there’s also a premium version available that lets you access all the advanced features you will ever need from a video converter. The music industry has seen some of the most acclaimed names reach the list of best-selling artists in terms of number of albums sold worldwide. This article will list top 50 top-selling artists of all time. A good Blu-ray player for PC can play Blu-ray content perfectly and without quality lossless on your PC. Here are top 7 best Blu-ray players for Windows we tested. It may be a tough task to find a really good Mac movie player. But don’t worry. Here we have found and tested top 7 movie players that you can use in your way on your Mac.